So the answer is I have to mount in hull and drill a hole in my yak and seal this hole with a cable gland or cable clam. I have to get the blue terminal end of the transducer cable through the hole, so the hole is gunna be bigger than I feel comfy with, but otherwise I have to cut and resolder the cable, which I am fairly sure will void any warranty, and I will stuff it up anyhow. Last question is in your fellas (and ladies) experience which cable glands are the best for Kayaks and who sells them in central (ish) Auckland? (this message was also on my original post, sorry for doubling up, wasn't sure how many folk would see the old post). The gods do not deduct from man's allotted span the hours spent in fishing. About half way down, just after the transducer is fitted. Thanks Chaps - The Scanstrut ones look more waterproof to me as they have that rubber bung type of thing built in. Although I prefer the fact the cable comes out sideways on the one on the viking site, maybe there one with both the bung and the ability for the wire to come out at a right angle? trip to Burnsco is on the cards. I've used both the above options - HLD's and Mental's. Both work. I have a cable clam (actually the blue seas one) on my trailer boat in a location that gets a hammering from spray and it's worked perfectly. The option suggested by HLD is lower profile. Cheers, will look out for that brand, assuming they are retailed in NZ? Realistically though, you won't be putting the seal under any sort of pressure. For instance, my battery leads are just fed into the hull through friction fit drilled holes now. As suggested Burnsco had just the thing, wasn't cheap tho, but looks solid and waterproof. The Transducer seems pretty happy in its new housing, might have over done it with the Selleys All Clear tho? Now waiting for it to go off and then to complete the power. 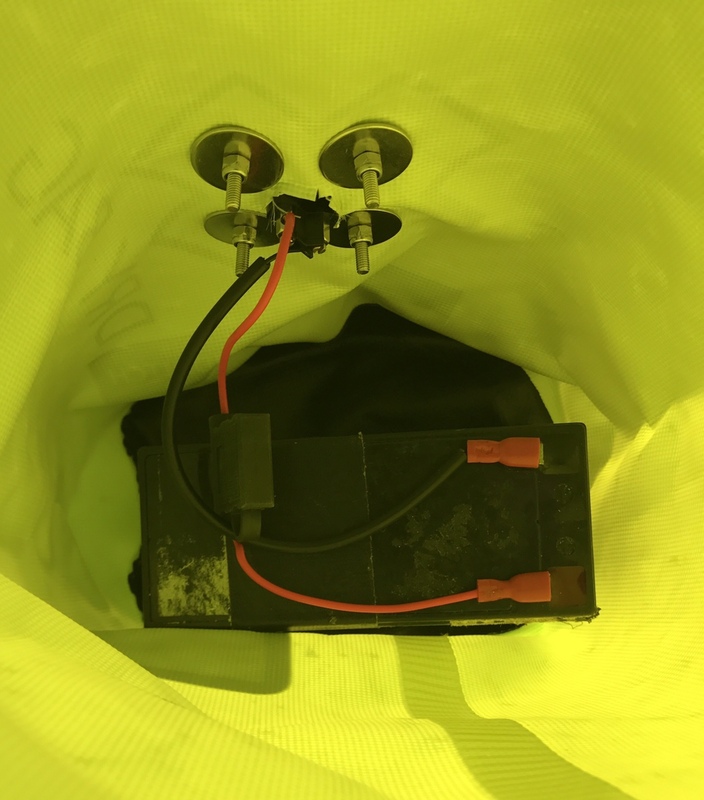 Just another question, saw this http://dizzybigfish.co.uk/diy-waterproo ... k-fishing/ and thought it was a neat idea as my power lead terminals have always corroded over time and thought this might be a better solution as I want to store the battery inside the kayak hull. The only thing I cannot find is those Index Marine 12v waterproof socket and plug. Had a look around the web and been into Jaycar and Corys but no luck, looked at online from UK but the shipping is steeeeep. Anyone seen this product anywhere in NZ? I've used these before, in challenging applications. 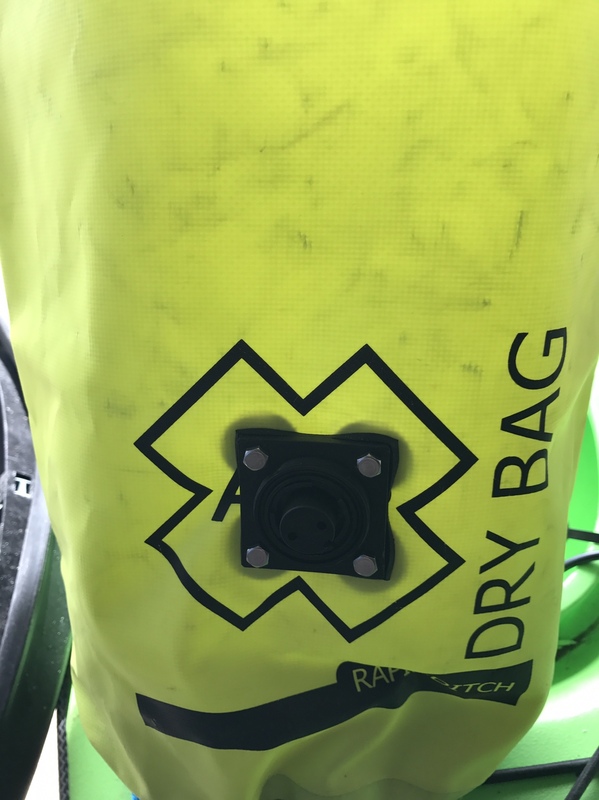 Some of them are designed to be through-panel-mounted so you could achieve a similar outcome to the post you linked to by bolting a flat piece of plastic (with hole drilled) to your bag and using that for the panel. 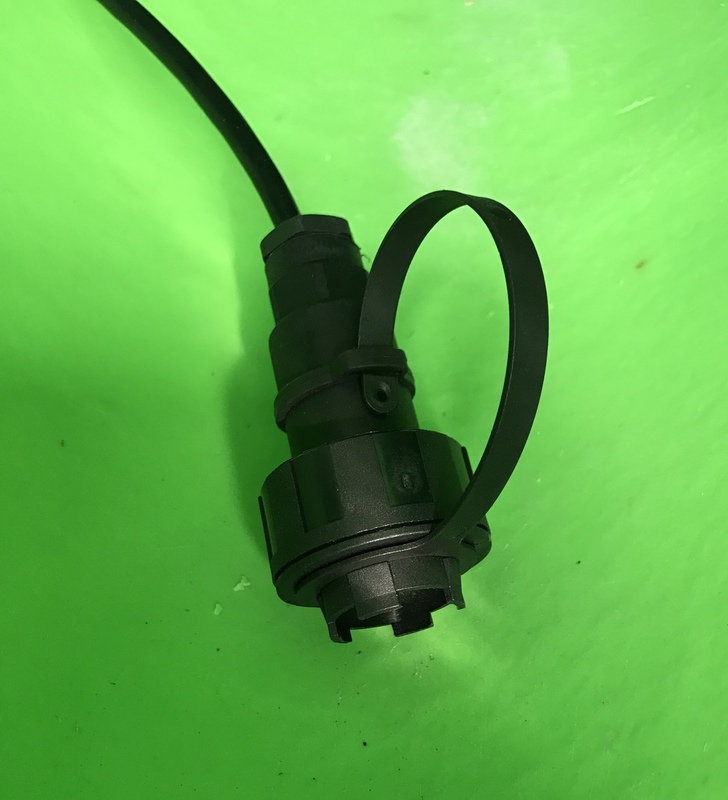 Use a line mounted connector for the lead. Nice thinking that is a really good workaround, if I can't locate those. 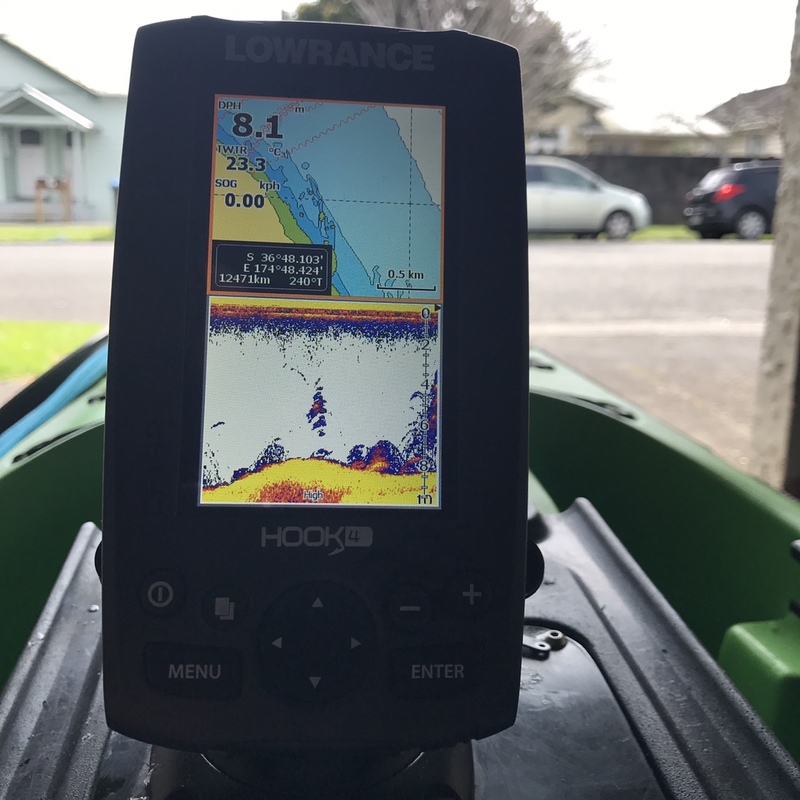 Had a good hunt around for these Index Marine waterproof plugs on the web, and couldn't find a retailer in NZ, but this place [urlhttp://www.aquavolt.com.au/advanced_search_res ... InputGo=GO[/url] in Aussie sell them so will most likely place an order and try recreating that battery bag idea. My Prowler always has a little bit of water in the hull, think it comes from where the rudder cables enter the hull as the rubber gromets have gone awol, so any power terminals tend not to last very long, and my soldering/wiring talents are limited to the extreme. Certainly looks like a tidy, low profile solution. 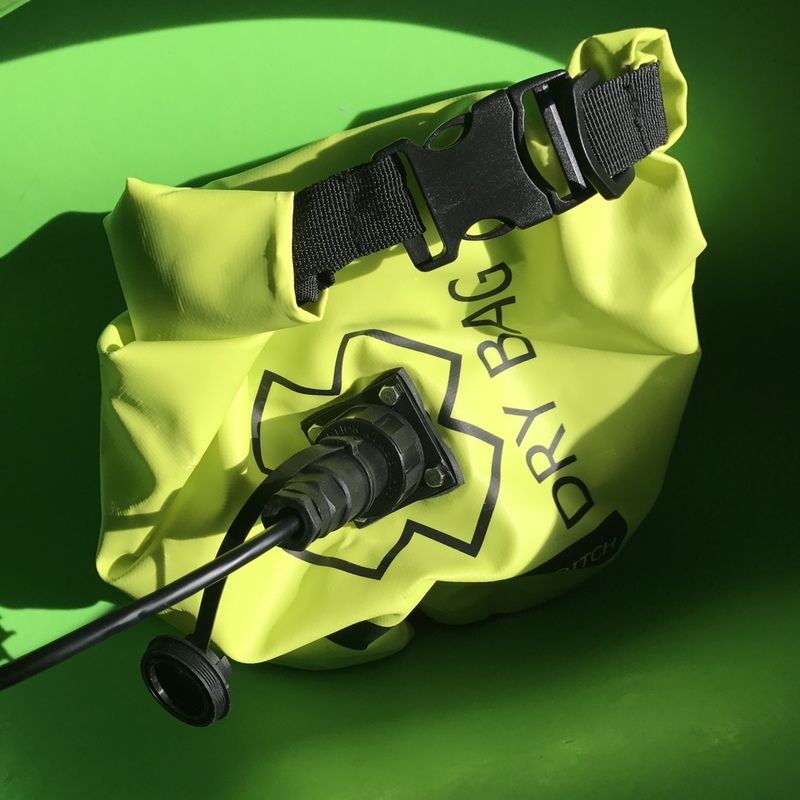 Finished this little project off with the dry bag with waterproof "bulgin" connectors, pretty happy with result just need to try the whole thing out on the water, just hope I haven't trapped any bubbles under the transducer but fairly confident I didn't. Few pics of the final set up. So the new FF finally got a test whilst up north for Labour weekend. Very happy with the set up, transducer image clear as so happily no bubbles were caught under whilst fitting into the selleys.. although I might have forked out some extra $$ for a larger screen had I tested the unit out whilst sitting in a kayak viewing it from the distance it is viewed from in a real set up, rather than in the store display. But it did help me locate, hook and land this beauty, reckon it must have been 80cm as my yak is 71cm across the beam and its nose and tail poked over each side. Not sure what it weighed, as its back happily mooching around the reef from where it came after being released and giving me a face full of cold northland brine from a farewell flick of its tail. I'd be a little concerned about seal failure around that connector. The gaps between the washers mean there is no pressure on the gasket at that point, a potential leak point. You'd do better to replace the washer with a single piece of hard plastic or plywood to mount on the inside of the bag. Four screw holes on a single piece would apply pressure to the whole gasket, not just the corners. Don't forget to put a little lanocote or silicone grease on the connector terminals. A splash of even slightly salty water + 12VDC will destroy the terminals really fast.